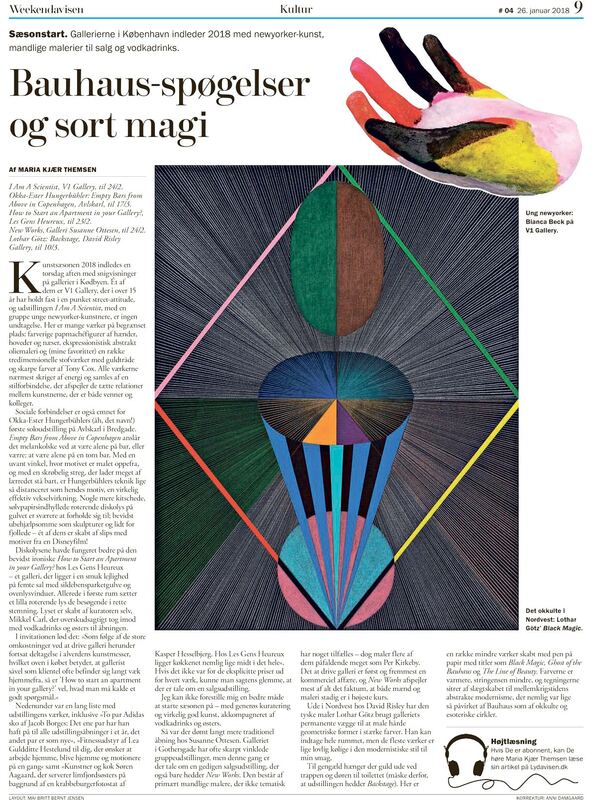 Weekendavisen’s art critic Maria Kjær Themsen recommends our current group exhibition I Am A Scientist curated by Sadie Laska as part of her gallery tour in Copenhagen last weekend. I Am A Scientist continues through February 24, 2018. Eric Palgon, Spencer Sweeney, Amy Gartrell, Tony Cox, Bianca Beck, Lucky De Bellevue, Marc Hundley, Aurel Schmidt, Sara Magenheimer, Trevor Shimizu, Agathe Snow, Emi Winter, Leif Ritchey and Sadie Laska.